This crochet sunburst granny square is so bursting we I first see it, it’s so beautiful and looks like a flower. Granny square is an easy to start crochet project for beginners to try, and they are versatile to crochet small as coaster, or larger as baby blanket. And if we are getting used to it, we can crochet more fashion by arranging and joining them together. We have some crochet granny square project you can check them out, the crochet daisy square blanket, crochet puff square blanket are 2 of my picks. 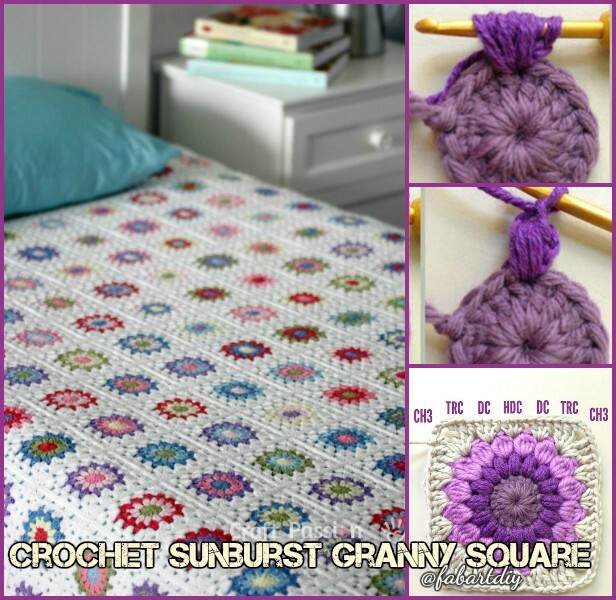 And today we are going to crochet this easy and fabulous looking sunburst granny square with no crochet experience. First, we need to crochet the 1st round circle to start. Bella Coco on Crochet Geek shares a video that most of us crocheters do to crochet the slip chain into circle. 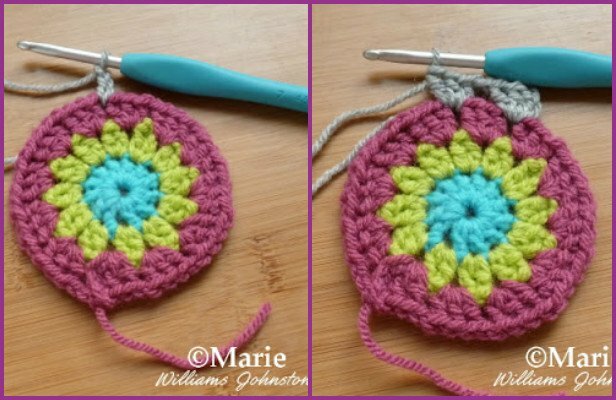 Teresa Richardson on Crochet Geek shares the tip to start the crochet circle which is different from classic chain into circle technique. Round 2: crochet 2nd round using puff stitch. 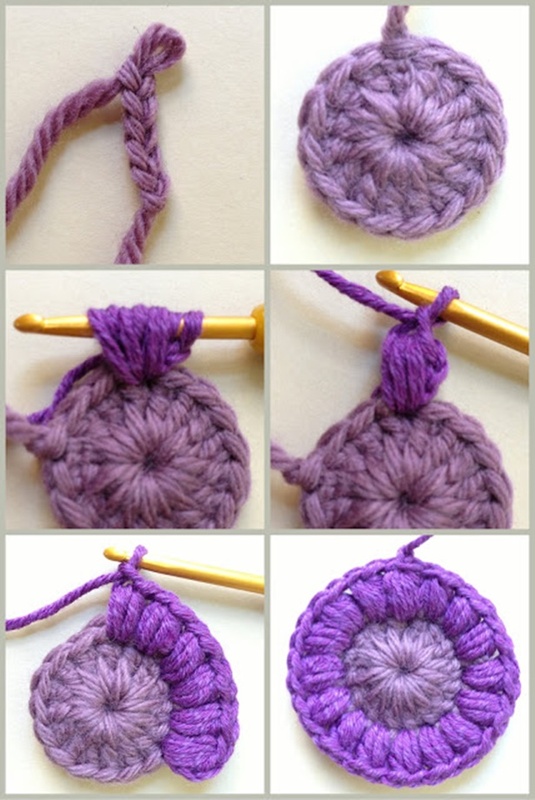 Crafty Marie shares another easier edition to crochet 2nd round with double crochet stitch which is easier if you don’t want fancy one as above. You can go check the whole free and easy crochet granny square with double and triple stitch on her blog: craftymarie.com, and more tutorials on next page.